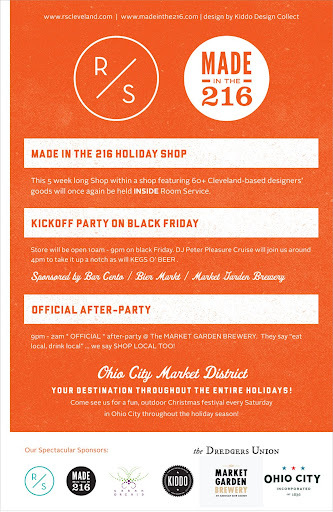 I am so happy to be part of another wonderful Made in the 216 event! 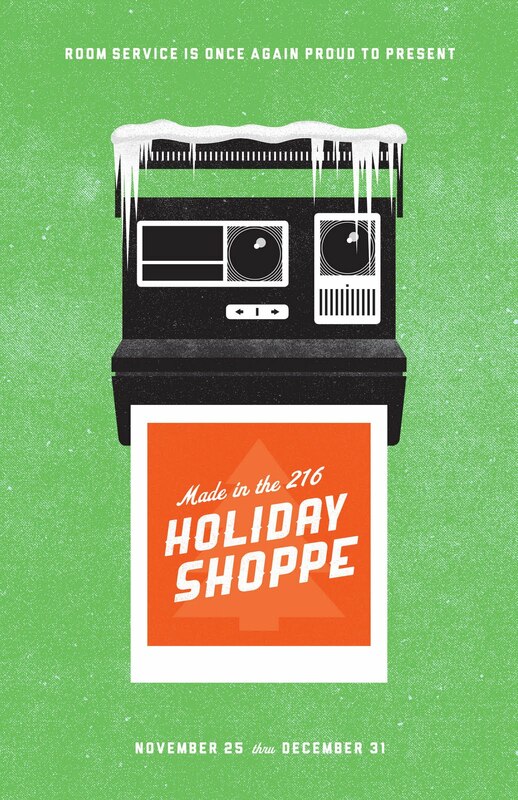 This year's Holiday Shoppe takes place inside Room Service and lasts for a whole month—so there's plenty of time to get in and snag your gifts for the season. I'll have some new mini-prints for sale as well as some gift tags to add the final touch to your wrapping. There are so many other talented vendors participating, you're sure to find something wonderful (and locally made!) for everyone on your list. The event kicks off on Black Friday with a DJ and some good drinks, with an after-party to follow down the street at Market Garden Brewery. It's always a good time so I hope to see you there for the opening!